Bridgeline’s iAPPS® platform deeply integrates Web Content Management, eCommerce, eMarketing, and Web Analytics to help marketers deliver online experiences that attract, engage and convert their customers across all digital channels. Bridgeline provides end-to-end Digital Engagement solutions and boasts an award-winning team of interactive services professionals. 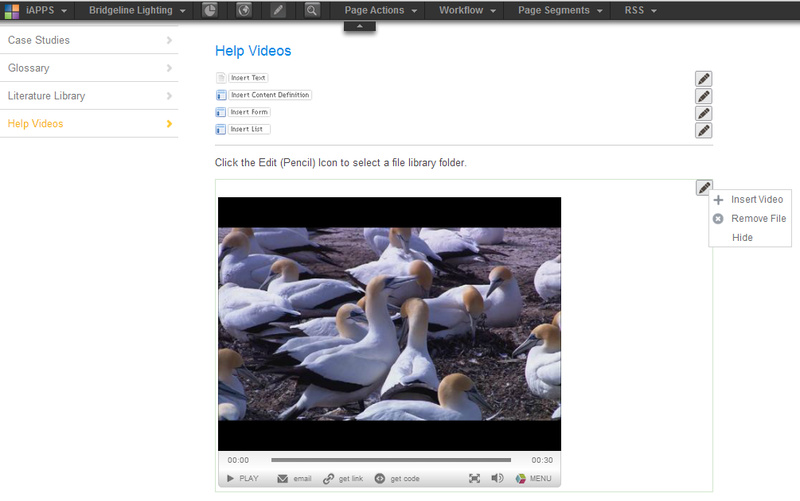 With the release of iAPPS 5.0, users will now be able to pull videos from their Brightcove libraries for use in the managed pages, without having to use any embed code. From the same iAPPS interface used to create & edit rich HTML content, users can now start including rich video content without having to leave the iAPPS control panel. Within the iAPPS site settings, Brightcove Video Cloud customers will simply input their Publisher ID and Brightcove read token. 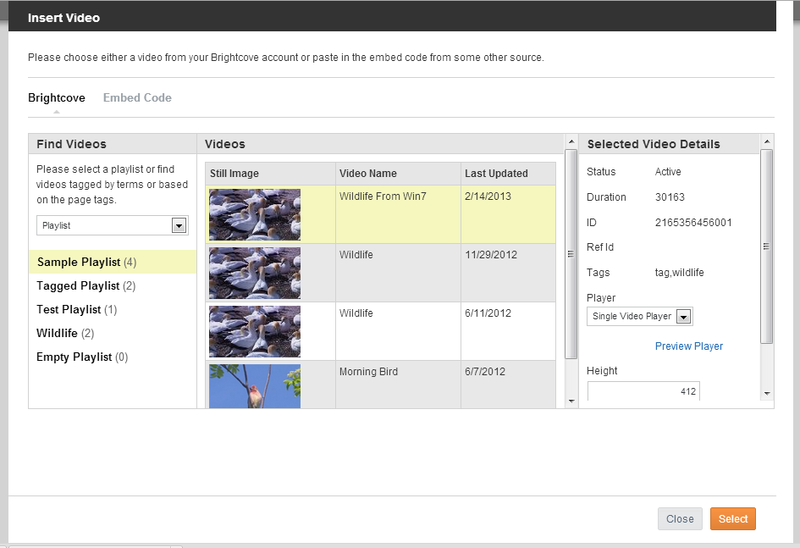 This will make the account's Video Cloud library within the iAPPS Content Manager page builder interface. Please contact Bridgeline's sales team at 800-603-9936 for further pricing.